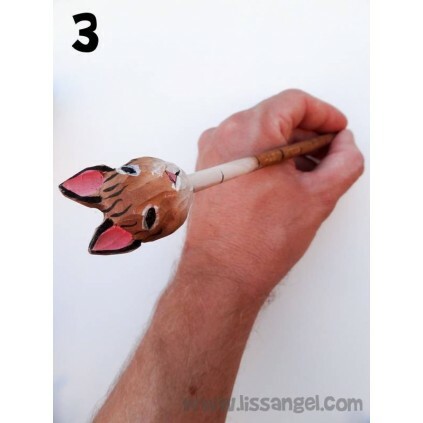 Crafts and stationery are compatible things. 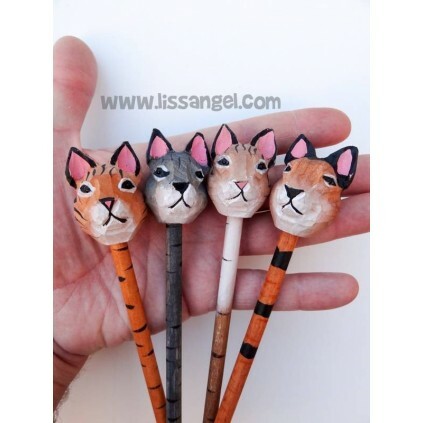 If you do not believe it, look at all these original wooden pencils, with a cat's head on one end hand-carved in wood. 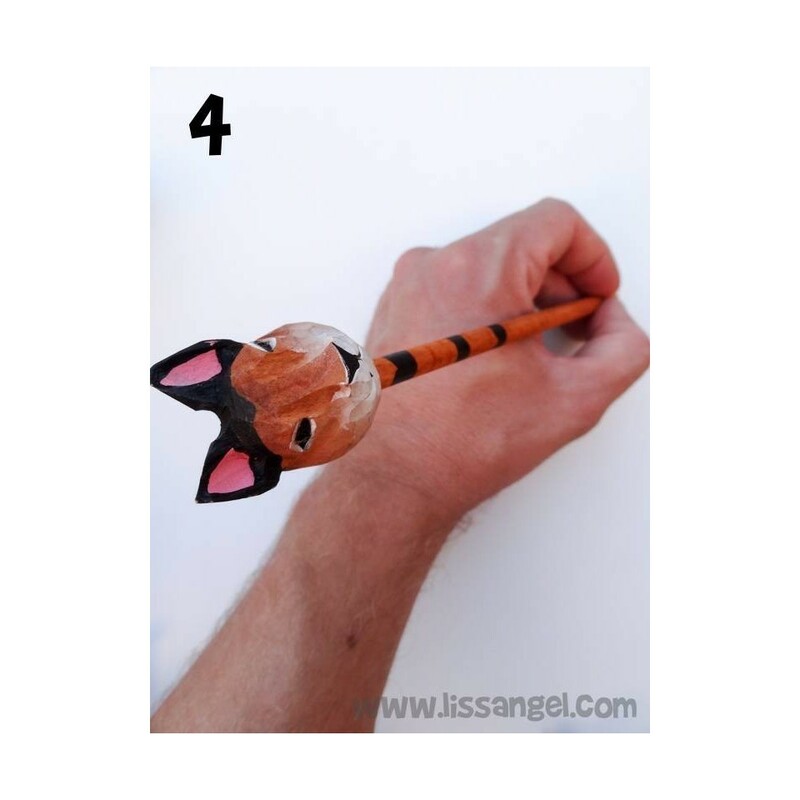 They are also painted by hand, each one are differents. 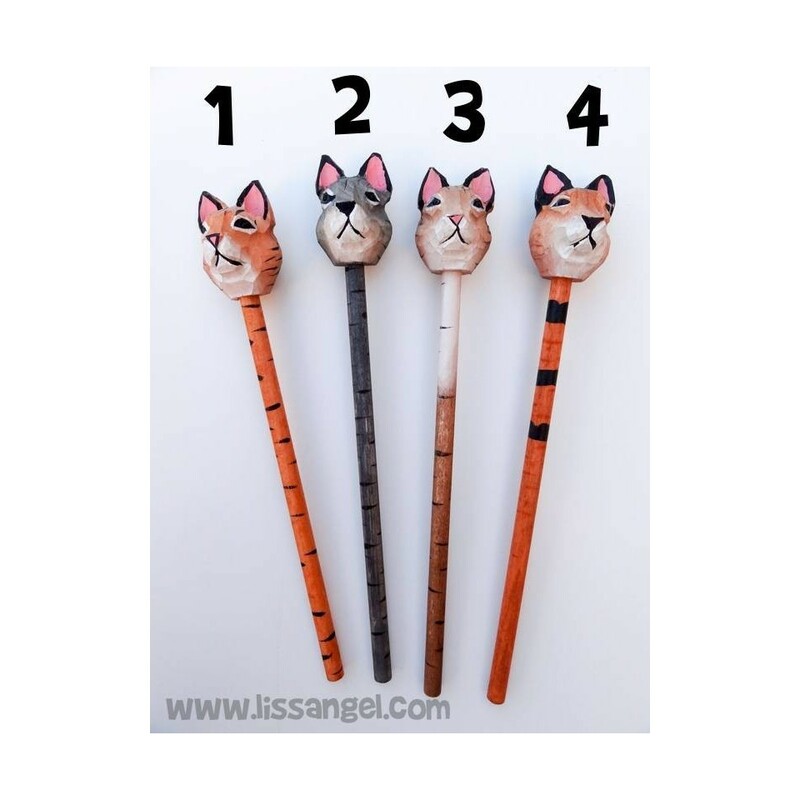 Choose from four models. 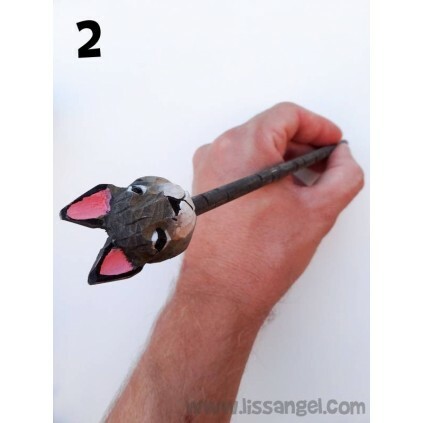 When a craftsman gets to work, he can create anything. 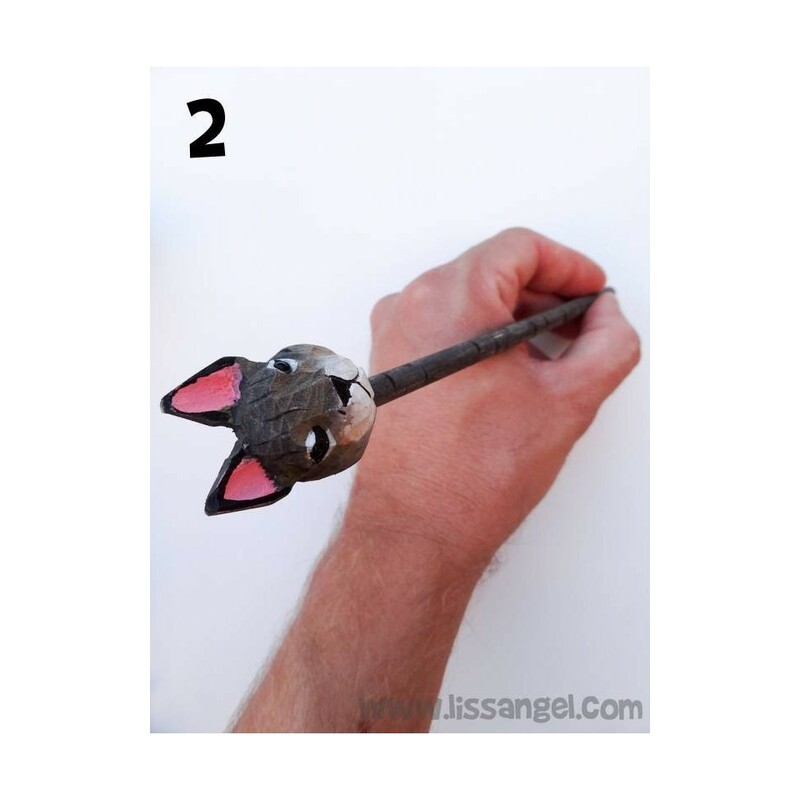 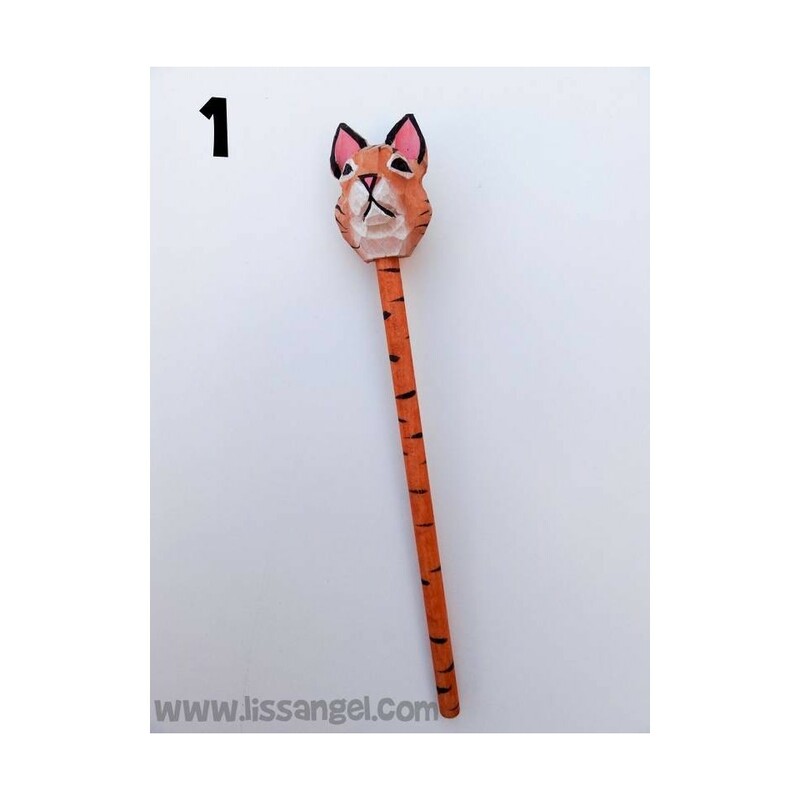 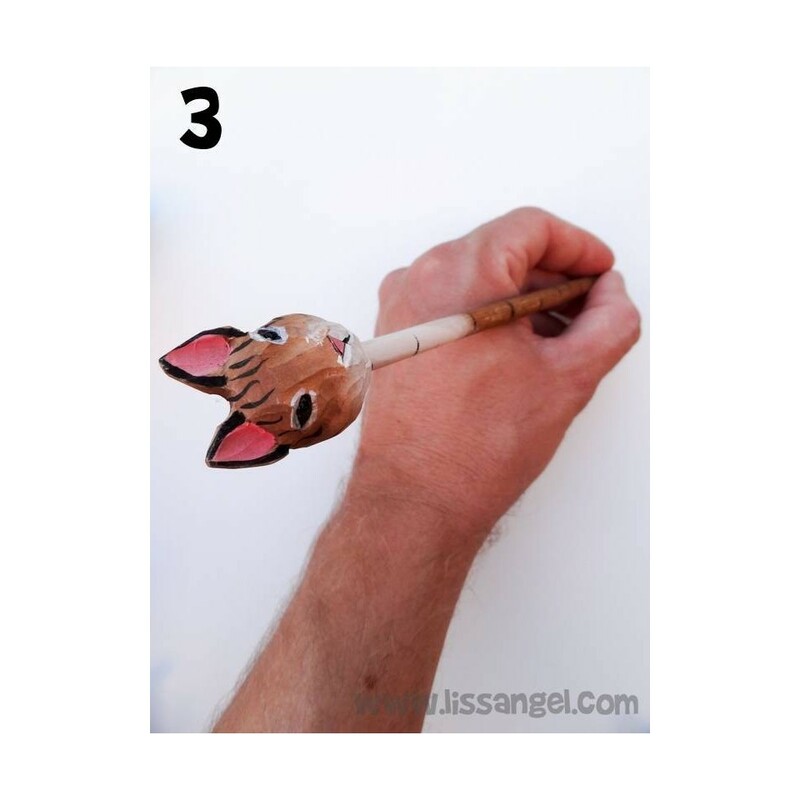 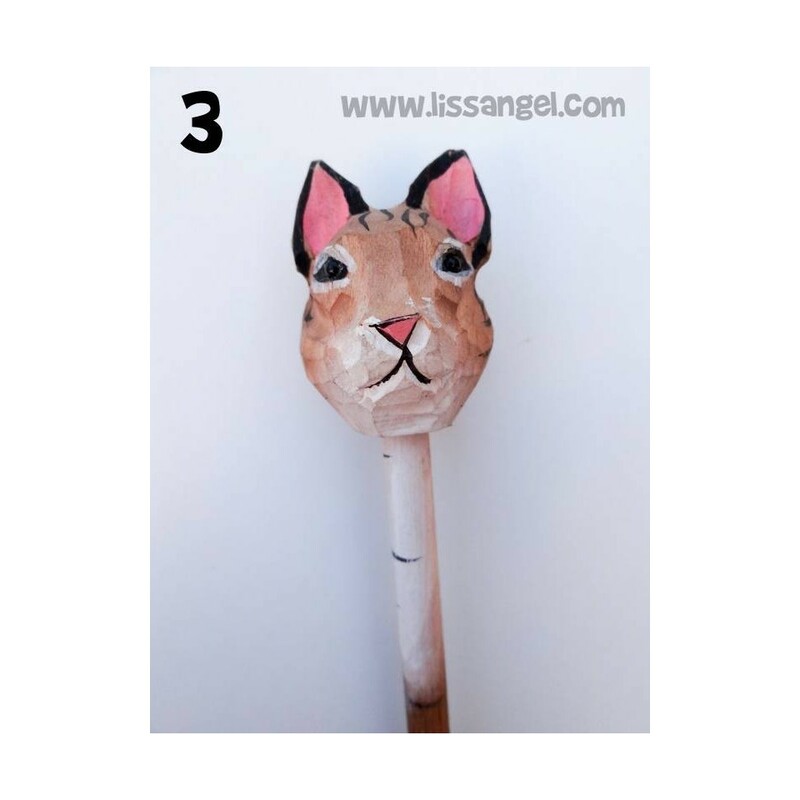 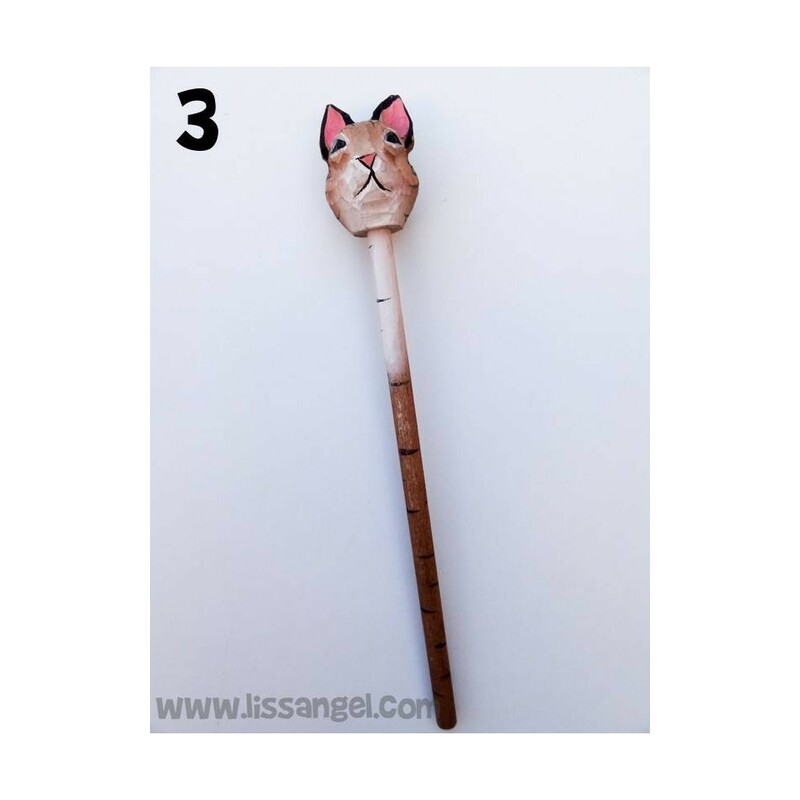 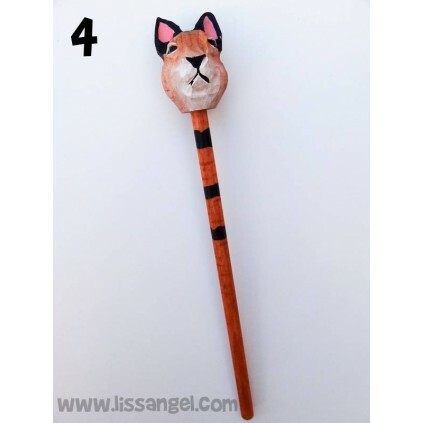 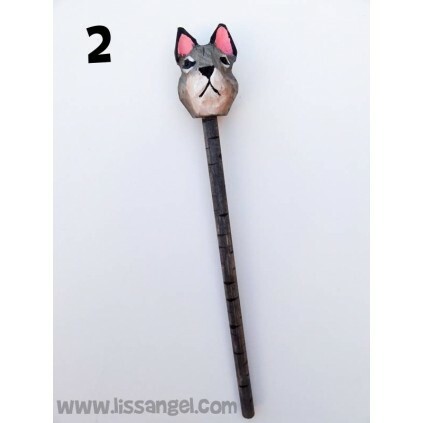 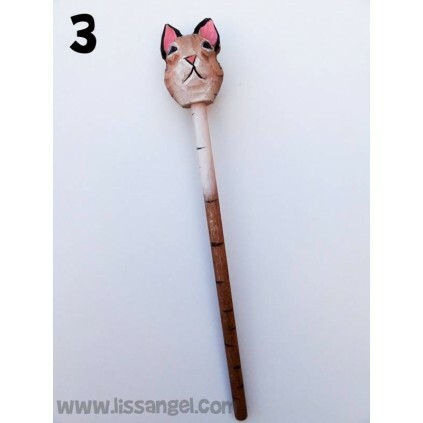 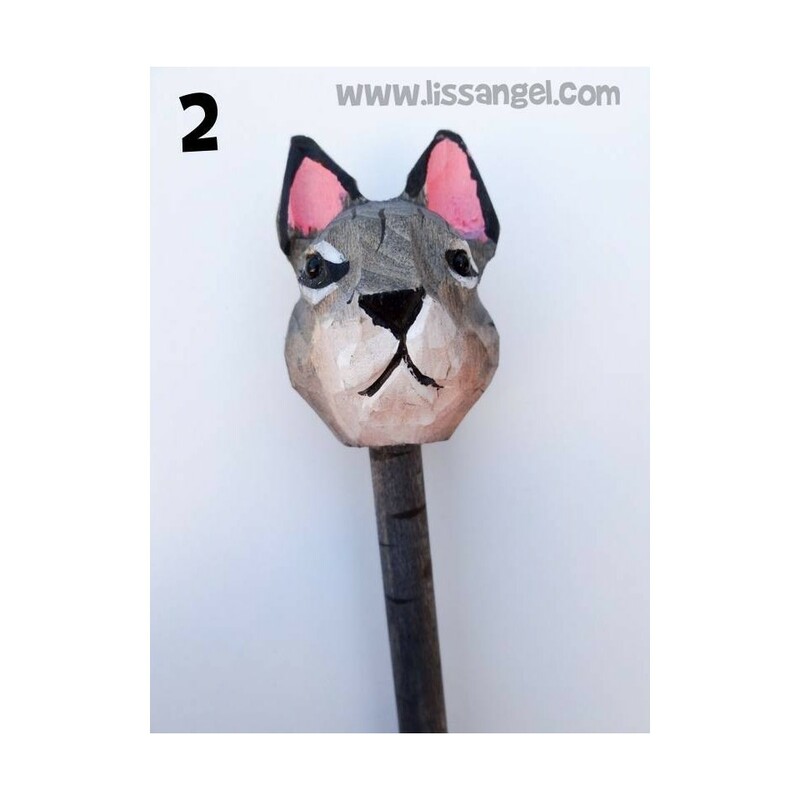 With a piece of wood, they can make a pencil... Why not with a cat's head? 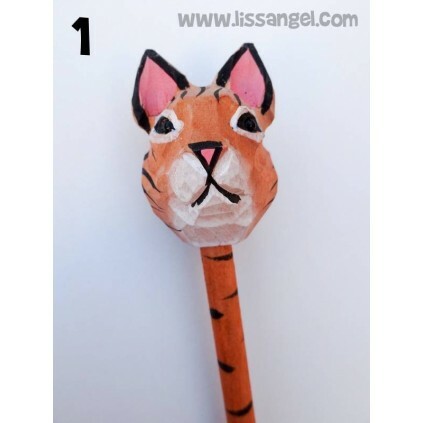 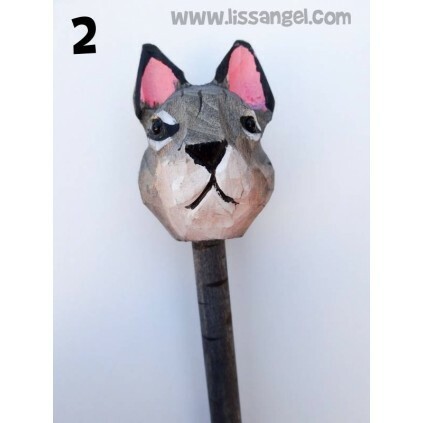 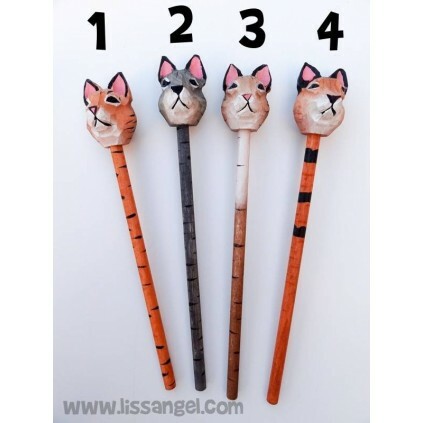 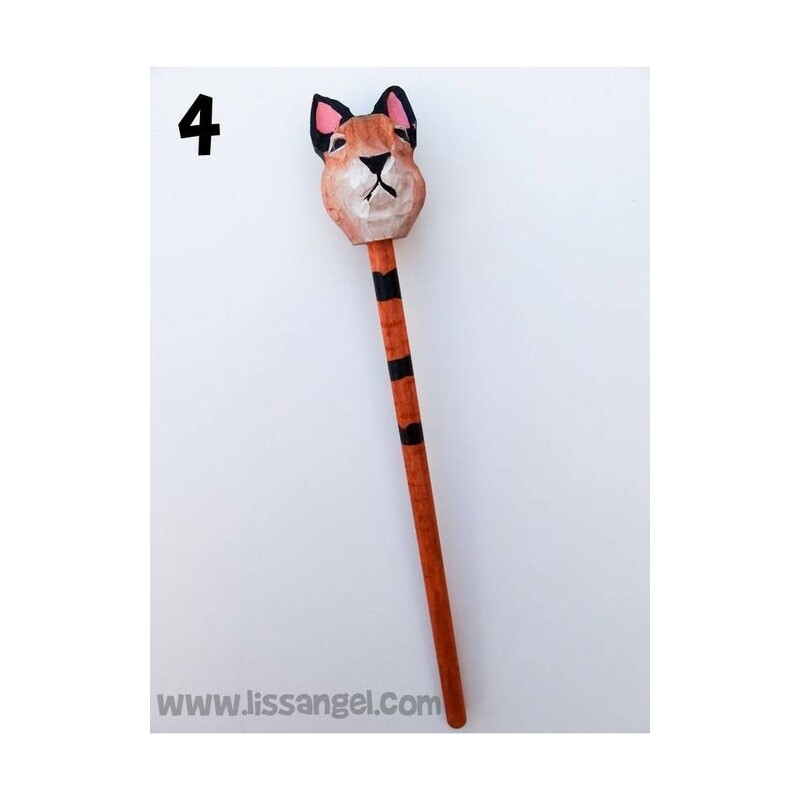 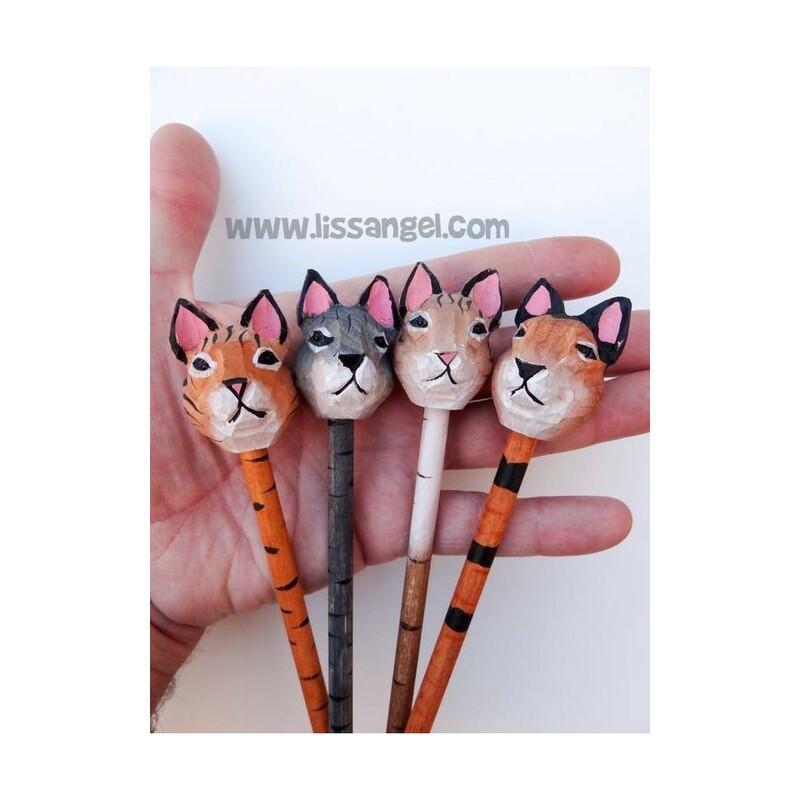 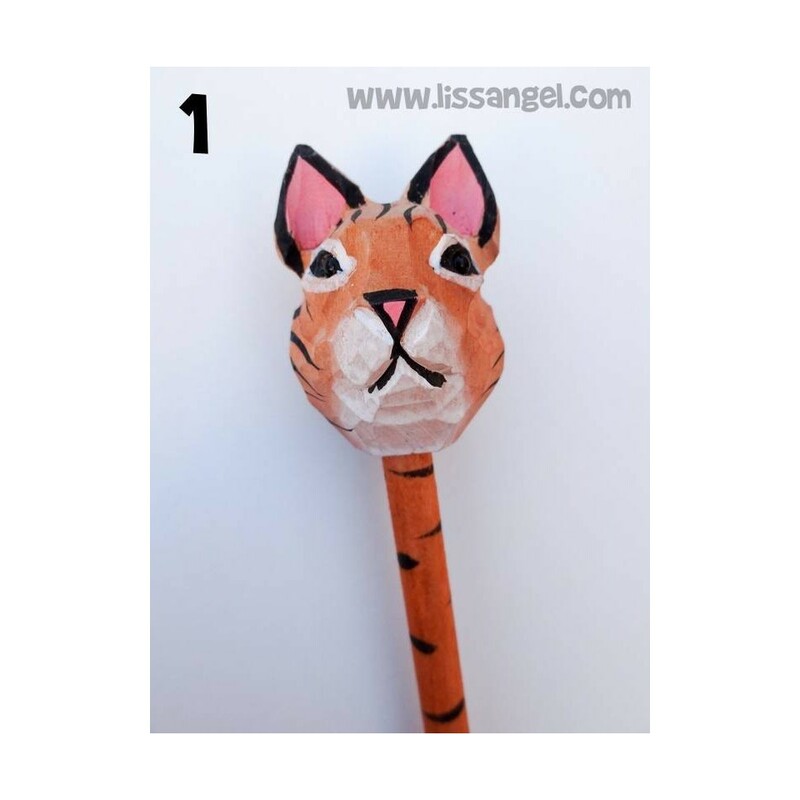 We show you these original handmade pencils made of 100% wood with a cat head carved by hand at one end. 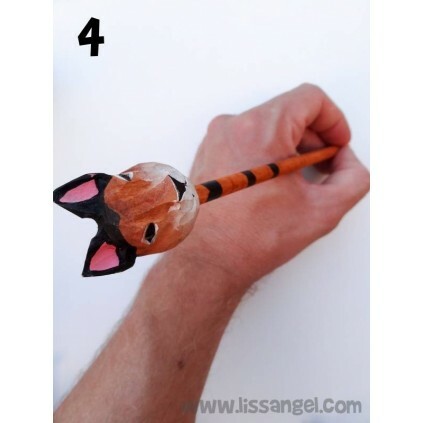 As you will see, they are also painted by hand, so each unit is slightly different. 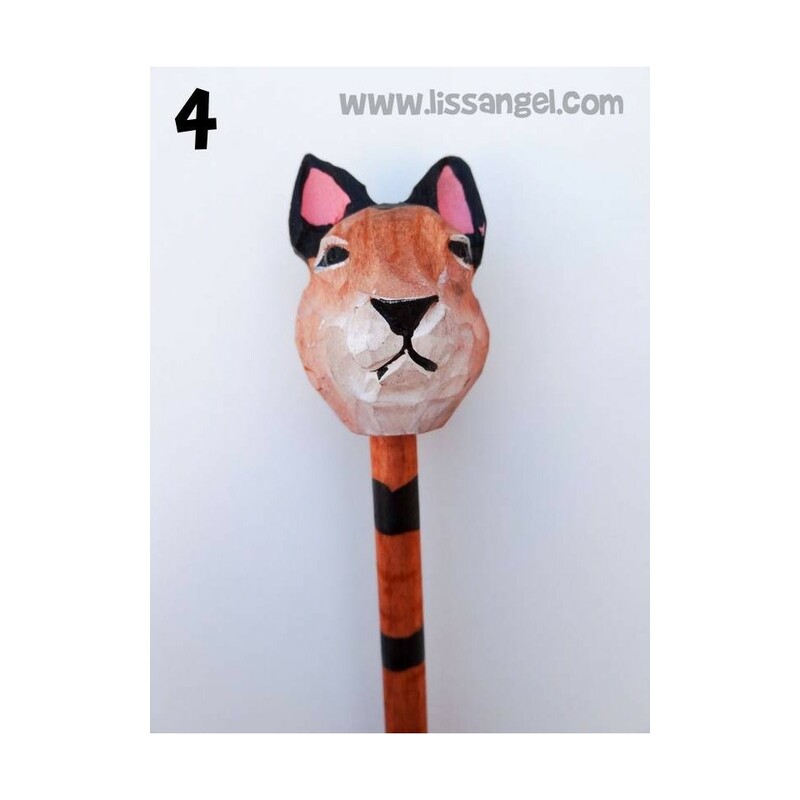 Choose from four models, we have numbered them to be of very similar shades. 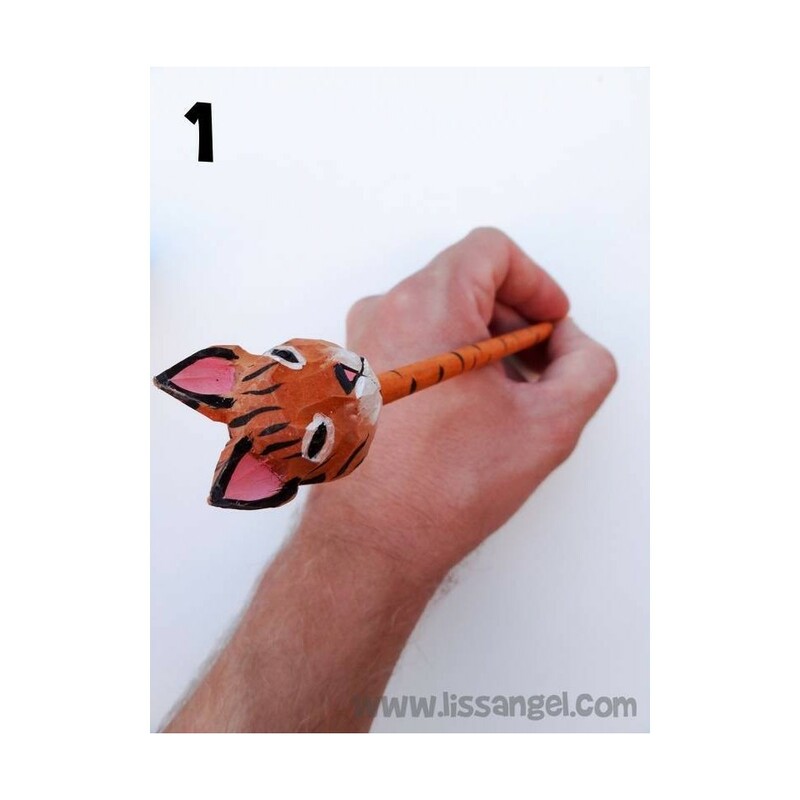 Funny and original pencils for children! 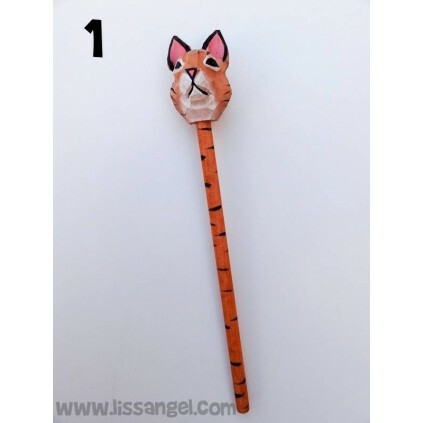 The body of the pencil has a nice and colorful design with flowers and bees and at one end an eraser shaped like a funny bee. 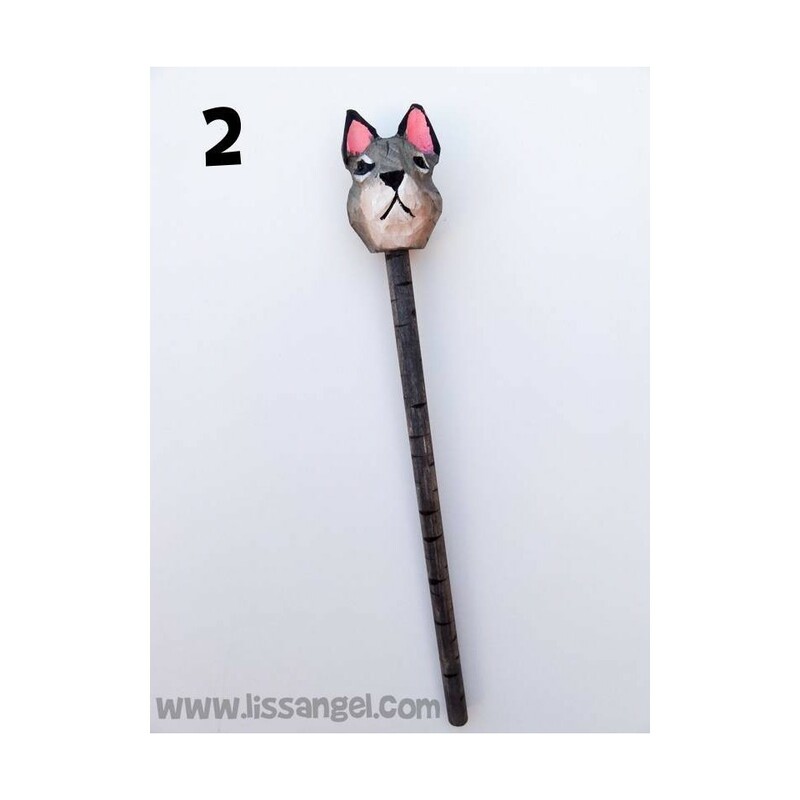 Choose between two models.